This 10 day tour takes you to the icons of the South Island, with extra nights in Christchurch, Fiordland and Queenstown you'll have time to discover the charms of each destination. You begin with a scenic train journey across the Southern Alps to the ruggedly beautiful West Coast with its spectacular glaciers. Other highlights of this fantastic adventure include a nature cruise in the pristine Milford Sound in Fiordland National Park, the adventure capital of Queenstown and the magnificent mountains of Mt Cook National Park. As you traverse the shores of Lake Wakatipu you'll see The Remarkables mountain range towering over your approach to the small township of Kingston. 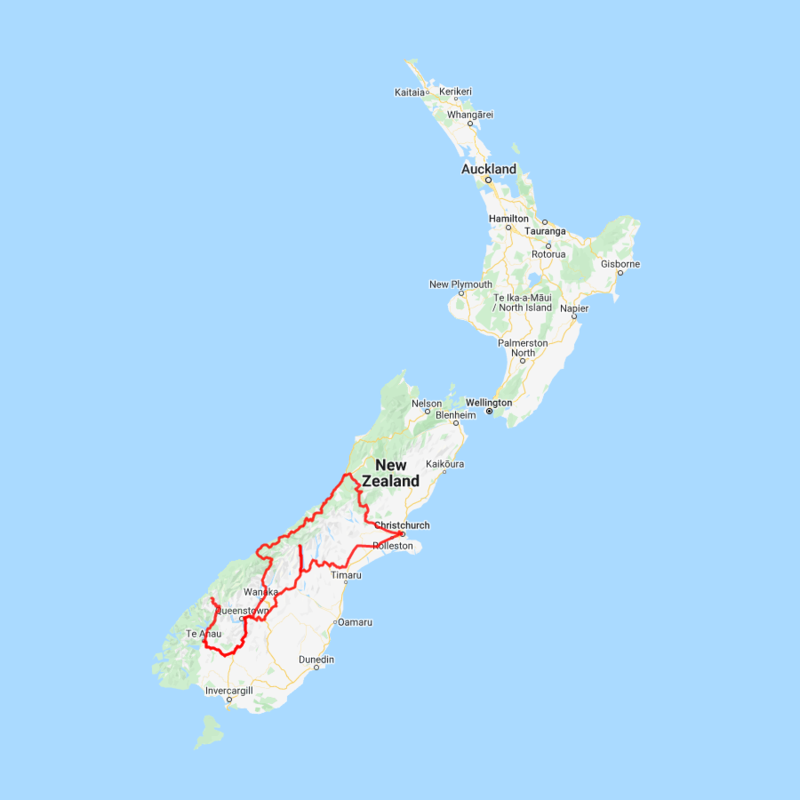 Continue towards Southland before crossing the rolling tussock-lands of Mossburn (deer capital of New Zealand) and shortly arriving into Te Anau, gateway to Fiordland National Park. Crossing the rolling tussock lands you pass through Mossburn, the deer capital of New Zealand. Following Lake Wakatipu north the Remarkable mountain range towers over you as you approach the adventure capital of Queenstown, before heading east over the historic Kawarau Bridge and if you haven’t already done so you can take a bungy jump from the bridge, or sit back and watch others throw themselves off. For a more sedate activity, the Gibbston Valley which borders the Kawarau River has many vineyards which are open for tastings. The Kawarau Gorge guides you towards Cromwell and for more wine tastings a side trip to Bannockburn is a must, with many award winning vineyards and winery restaurants to enjoy. Cromwell sits at the head of the Kawarau Gorge and the historic old town is well worth the visit, the buildings are now home to quaint shops and cafes. The old town buildings were relocated from the valley that now sits deep under Lake Dunstan. Continue along Lake Dunstan until you reach the historic and scenic Bendigo Reserve, which was one of Otago’s original gold mining settlements. Well marked paths will guide you to the remains of stone cottages and other buildings from this bygone era. The Lindis Pass is one of New Zealand’s highest roads with the summit reaching 971 metres. The tussock covered hills offer an unusual contrast as you pass from Central Otago into the Mackenzie Basin. The towns of Omarama and Twizel are the last stops before you arrive at Lake Pukaki and take the Mt. Cook Highway along the shores to the village. In Mt. Cook Village a myriad of activities are available scenic ski plane or helicopter flights with glacier landings to kayaking on a glacial lake and a host of walks to suit all abilities. At The Hermitage Hotel the Sir Edmund Hillary Alpine Centre is a must see. Please note there are no food or shops at Mount Cook you will need to stock up prior to arriving in Mount Cook if you wish to self cater.